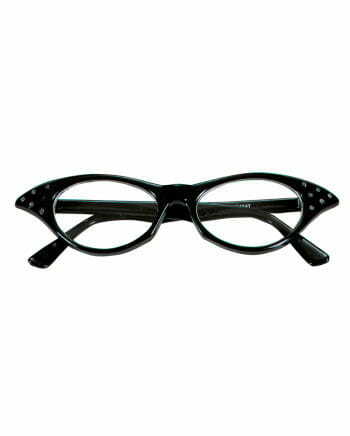 No matter if secretary or rock'n roll girl - in the fifties every woman wore a fifties glasses with rhinestones. Wear the cat-eye glasses in the 50s style to your rock-and-roll costuming and make sure you get the right look. Super trendy you wear this great 50s accessory to a rockabilly costume or a secretary uniform. 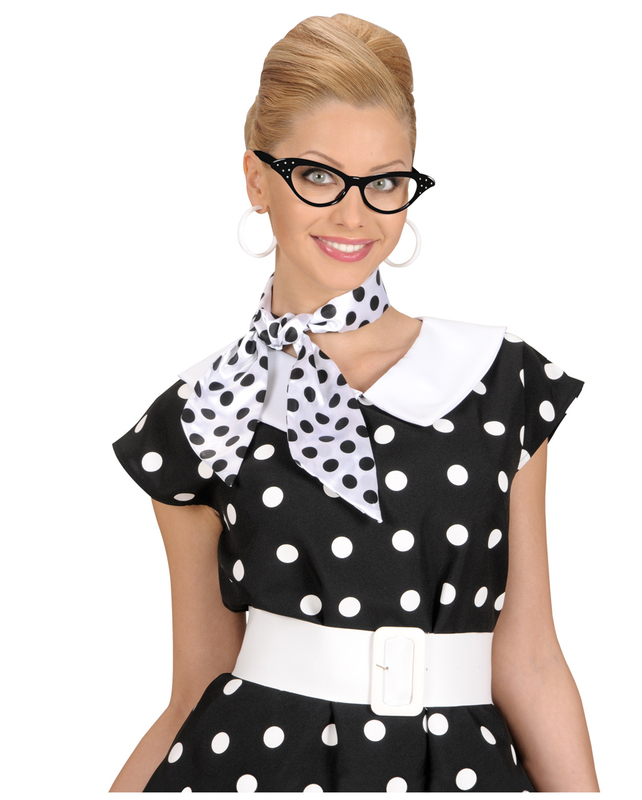 In our online shop you will find more ingenious accessories and costumes for your successful 50s theme party! The delivery includes a 50s glasses with rhinestones. The frame and glasses are made of plastic. The 50s women's sunglasses in the typical cat-eye look goes perfectly with polka dot dresses and rocking 50s fashion. The practical One Size size makes this accessory look great on you too.